In a bowl, marinate chicken overnight in salt, pepper, garlic, lemon grass, lime and lemon juice, and 7-up or Sprite soda. Set aside. Fry annatto seeds in cooking oil. Let cool, crush, and drain the annatto oil in a bowl. Set aside. Prepare a mixture for bashing by mixing annatto oil, marinade, and butter. Pan boil for few minutes and season with salt and MSG if desired. 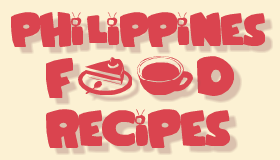 – Filipinos, sometimes, has this tantsa tantsa lang (estimate and approximate) method of cooking. Experiment, therefore, on your best combination. Skew the chicken and grill over the hot charcoal, brushing it with the mixture once in a while. Grill until done. Tip: You can substitute kalamansi for lemon and lime. 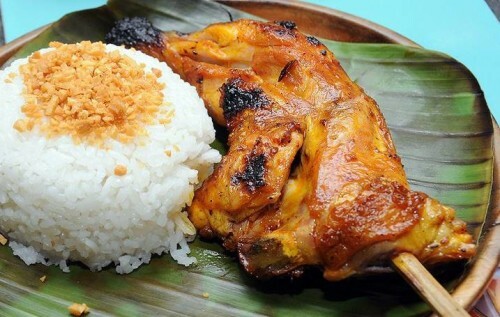 Adding 1 tablespoon of vinegar in the marinade is good if you intend to preserve the left over chicken inasal in a day or two. 1. 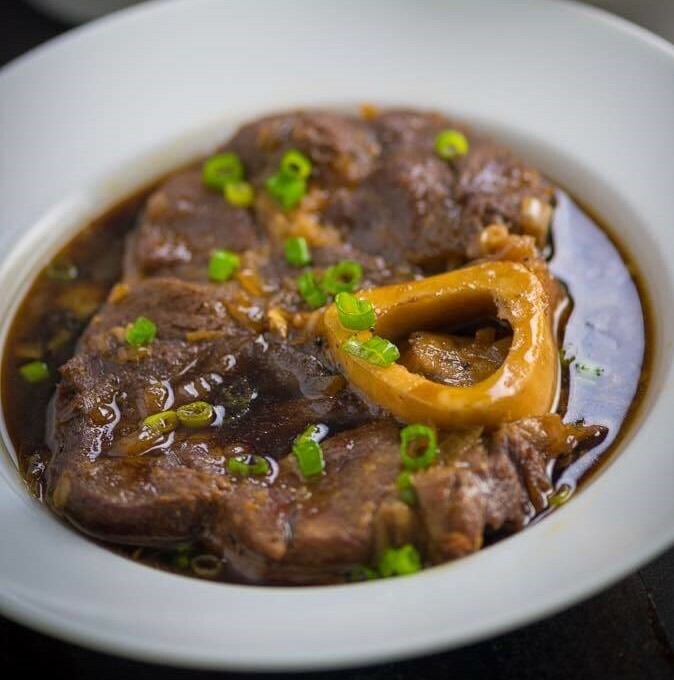 In a bowl, combine oyster sauce, sesame oil, salt, ground black pepper, sugar, garlic, cornstarch, and water. Mix well then set aside. 2. Pour cooking oil in a wok or frying pan then apply heat. 3. 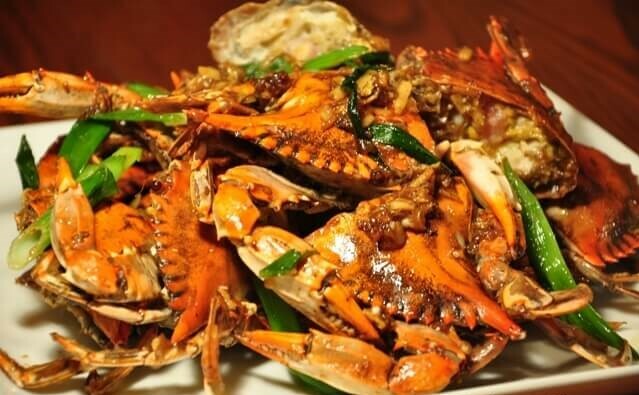 Deep-fry the crabs for 3 minutes. Remove from the wok and place in a container letting excess oil to drip. 4. On the same wok, remove cooking oil until about 2 tablespoons are left. Sauté ginger and scallions for 2 minutes. 5. Put-in the deep-fried crabs and pour the sauce mixture (mixed ingredients in number 1). Stir and cook for a minute. 6. Turn-off heat then transfer to a serving plate. Add pork belly. Continue to cook for 30 minutes. Remove the pork belly. Let it cool down. Meanwhile, prepare the Bicol express sauce by adding Knorr Ginataang Gulay Mix into the remaining water in the cooking pot. Stir until well blended. Add the onion, ginger, and garlic. Let boil. Add the long green chili pepper and Thai chili. Stir. Cook for 3 minutes. Put the alamang into the cooking pot. Stir. Season with ground black pepper. Continue to cook until the sauce reduces to half. Set aside. Continue to prepare the pork belly by rubbing salt all over it. Let is stay for at least 10 minutes. Heat oil in a deep cooking pot or deep fryer. Once the oil reaches 330F, deep-fry the pork belly for 8 minutes. Let it rest for 5 minutes. Put it back into the pot or deep fryer and continue to deep fry for 3 to 5 minutes. Remove from the pot. Slice. Arrange in a serving plate. Top with Bicol Express sauce. Remove any beard, grit and dirt from mussels. Wash well, drain and pat dry. 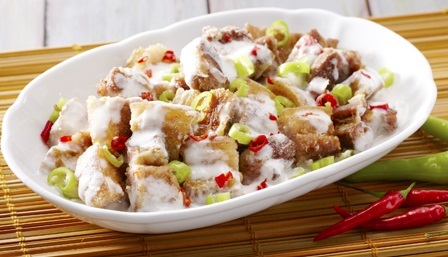 In a bowl, combine mayonnaise, cheese, sweet chili sauce, green onions and lime juice. 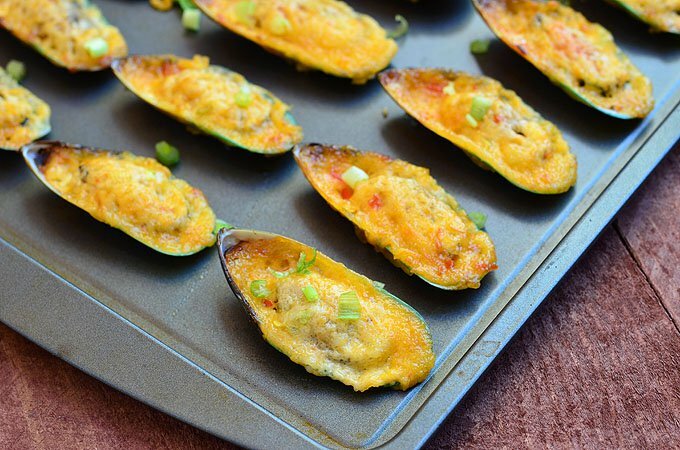 Spoon about 1 teaspoon of mayo-chili mixture on mussels and arrange in a single layer on a baking sheet. Bake in a 375 F oven for about 10 to 15 minutes or until golden brown and bubbly. Serve hot. Peel shrimps and remove heads, leaving tail intact. With a small knife, make an incision near the head and all the way down the center of the shrimp’s back to the tail. With the tip of knife, remove and discard vein. Using hands, open flesh of shrimp until it lies flat. Make a small incision on the inside of the shrimp close to the tail. 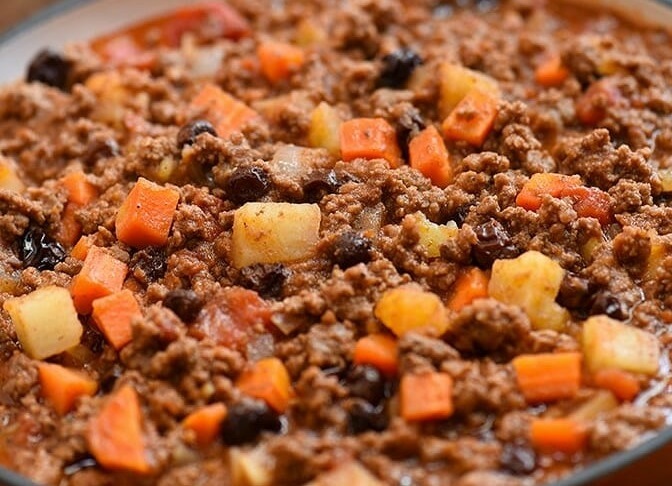 In a bowl, combine ground pork, green onions, water chestnuts, carrots, garlic, soy sauce, salt and pepper. Gently stir until well distributed. Place about 1/2 teaspoon meat filling in the center of the butterflied shrimp and press to close around filling. On a flat working surface, arrange spring roll wrapper with pointed side facing up. 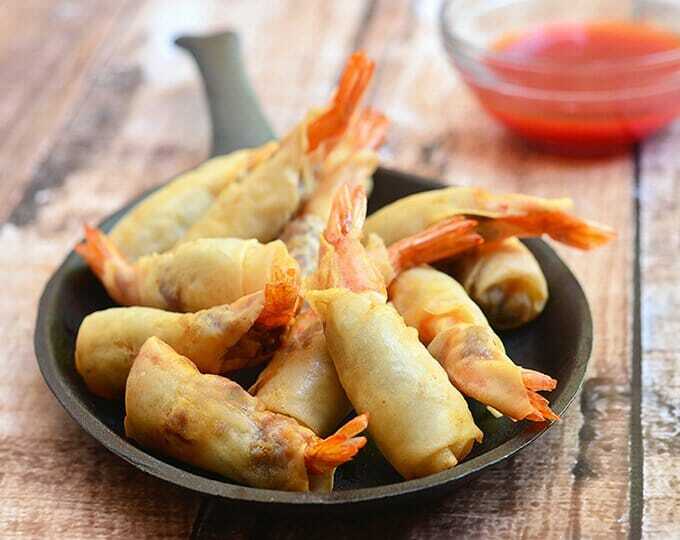 Place stuffed shrimp on wrapper. Fold one side of wrapper over shrimp and the then fold the pointed side down. Roll wrapper tightly around shrimp moistening sides with water and pressing lightly to seal. Place in a single layer, seam side down, on a dish and loosely cover with moist paper towel until ready to fry. In a pan over medium heat, heat about 2-inches deep oil until very hot but not smoking. Add prepared shrimps into oil with seam side down. Cook, turning on sides as needed, until golden, crisp and cooked through. Remove from heat and drain on a wire rack set over a baking sheet. Serve hot with sweet and sour sauce.